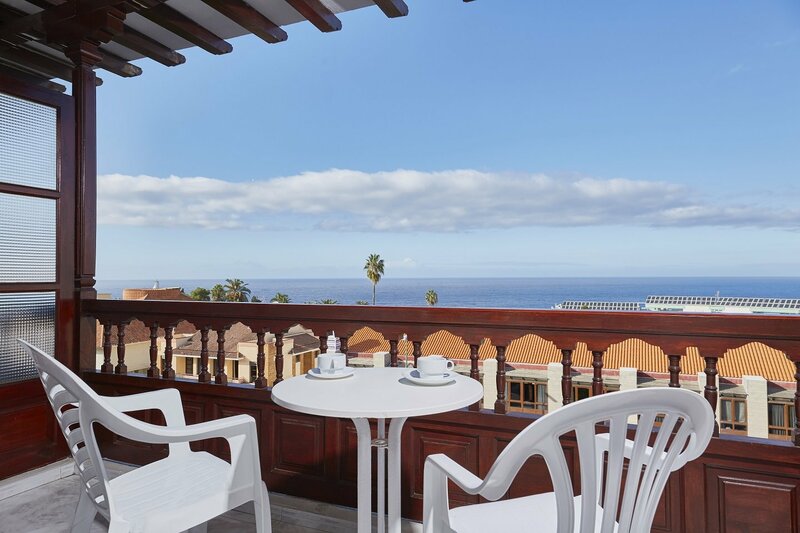 The 120 studios of the Coral Teide Mar Apartments allow you to enjoy some fabulous holidays in the Orotava Valley. 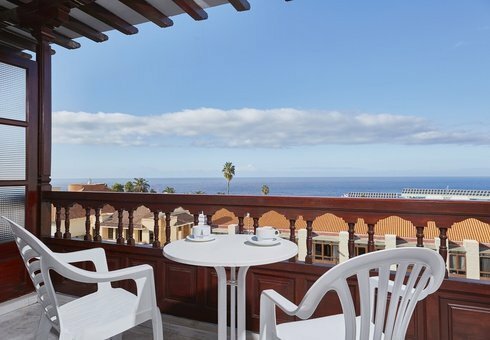 Discover the best apartments for your stay in Tenerife at the best price on the official website of Coral Hotels. 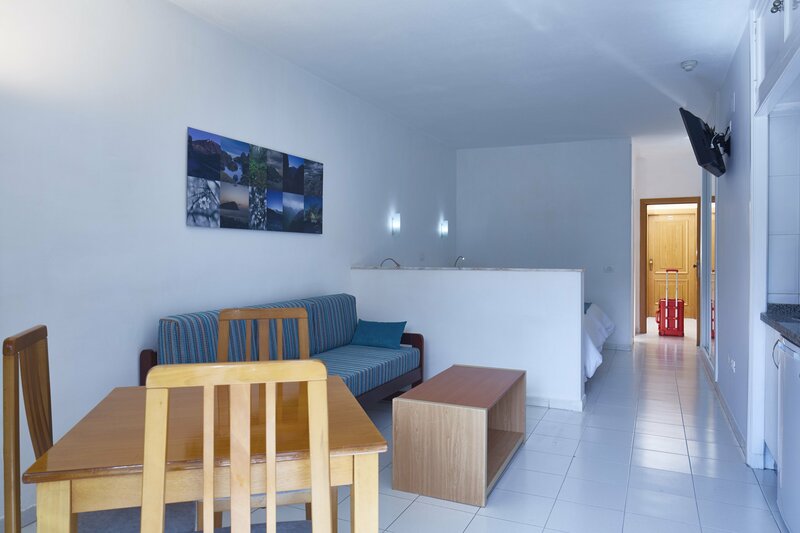 This spacious, comfortable Junior Suite features a bedroom-living room with twin beds, sofa and a dining area with a table and chairs, as well as a wardrobe​, telephone, flat screen TV and Safe. 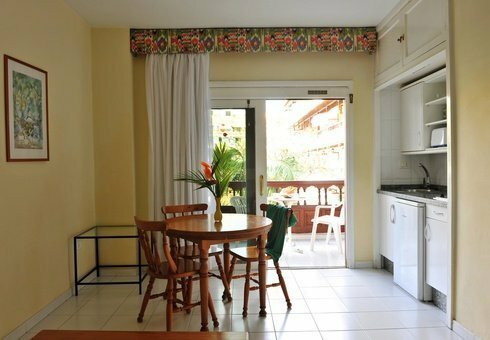 ​The Junior Suite has a kitchenette with a fridge, an electric hob and kitchenware. 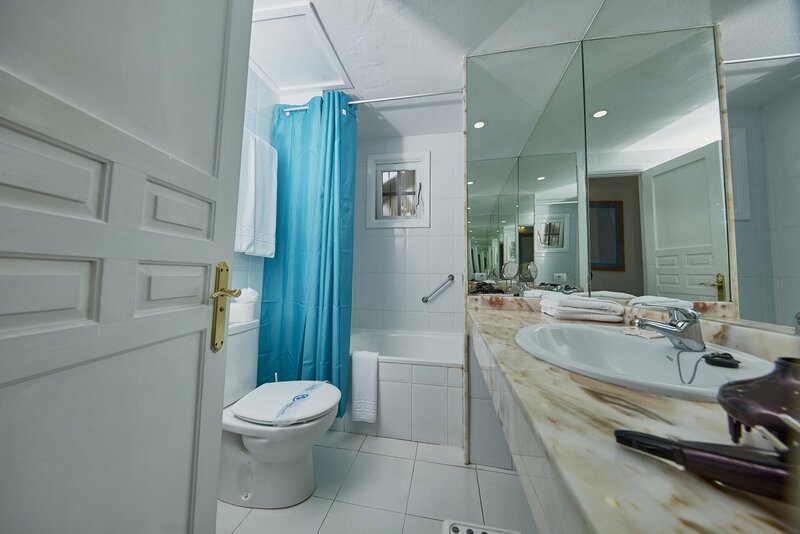 There is also a private bathroom with hairdryer and a furnished balcony. 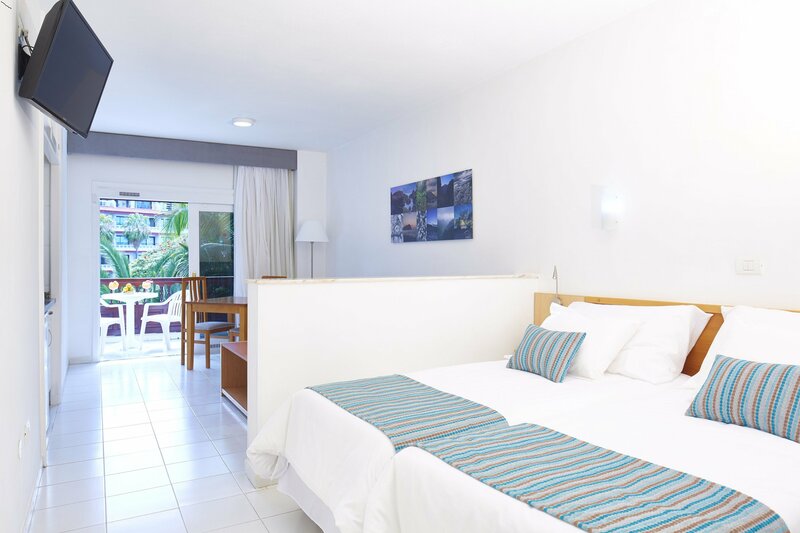 Iron, ironing facilities are available for hire at the reception.The Junior Suite is cleaned 5 days a week, while towels are changed 3 times a week and bed linen are changed 2 times a week. With a functional style of Canary inspiration, the pool / garden view studios of the Coral Teide Mar Apartments feature a diaphanous space with a bedroom - living room with 2 single beds, low table, sofa bed, dining table with chairs, wardrobe, kitchenette, fridge, tableware, telephone, TV ($), fully equipped bathroom and balcony or furnished terrace with views to the garden and the swimming pool. 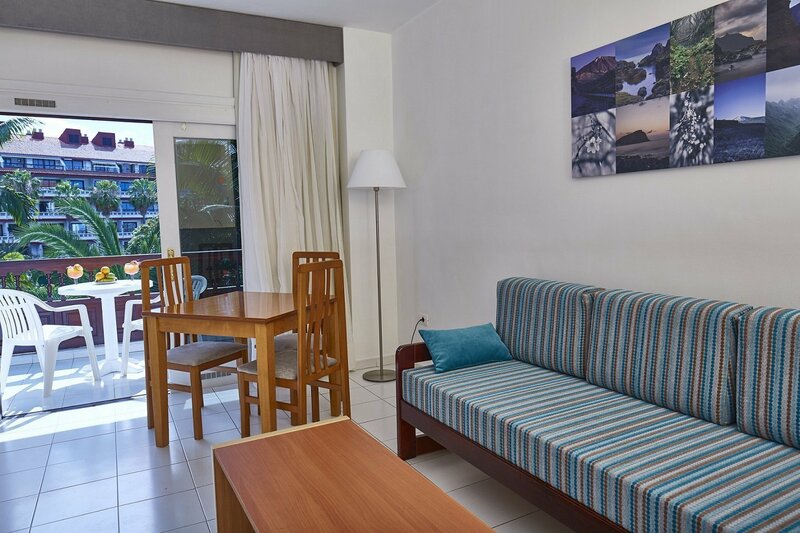 Your studio in Puerto de la Cruz. 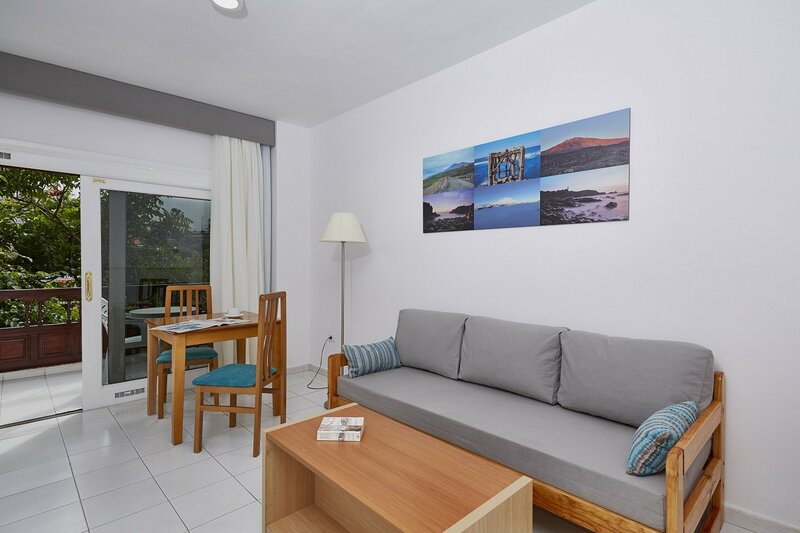 The 35-square-metre standard studios of the Coral Teide Mar Apartments feature a bedroom-living room with 2 single beds, low table, sofa bed, dining table with chairs, wardrobe, kitchenette, fridge, tableware, telephone, TV ($), safe deposit box ($), fully equipped bathroom and balcony or furnished terrace with pleasant views. 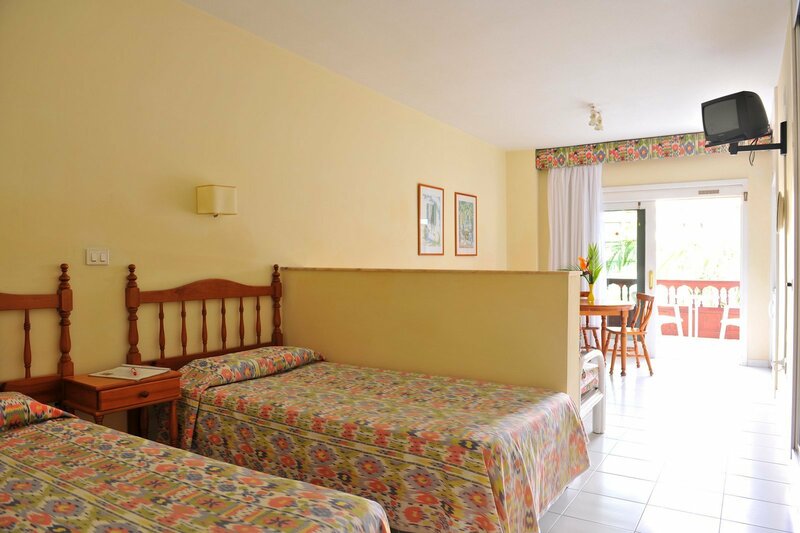 Accommodation in Puerto de la Cruz for 3 adults or 2 adults and 1 child. 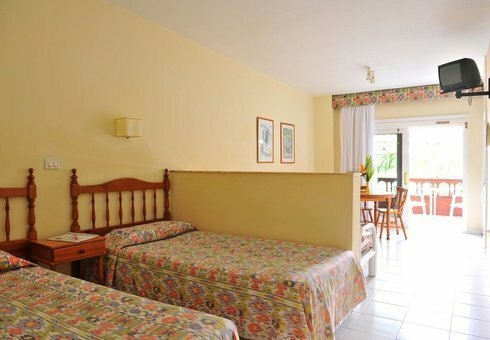 This spacious, comfortable Junior Suite features a bedroom with a seating area. 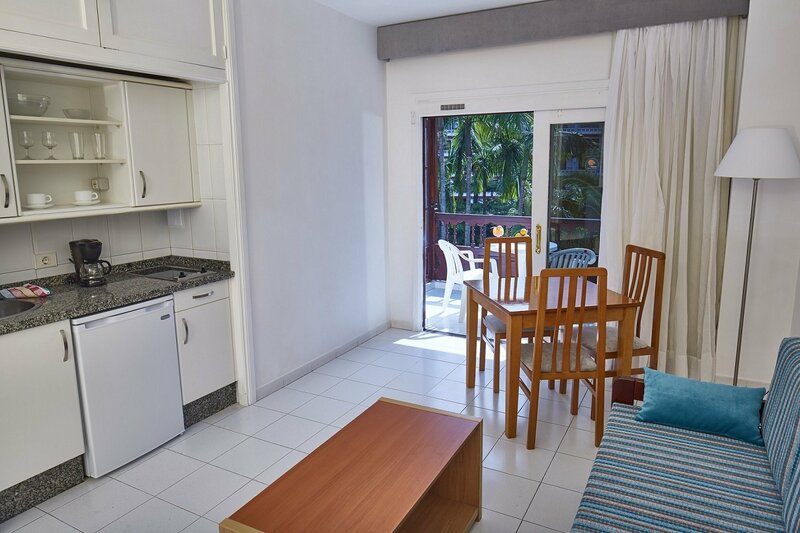 It has 2 single beds, a sofa and a dining area with a table and chairs, as well as a wardrobe​, ​telephone, flat screen TV and Safe.. There is a kitchenette with a fridge, an electric hob and kitchenware. 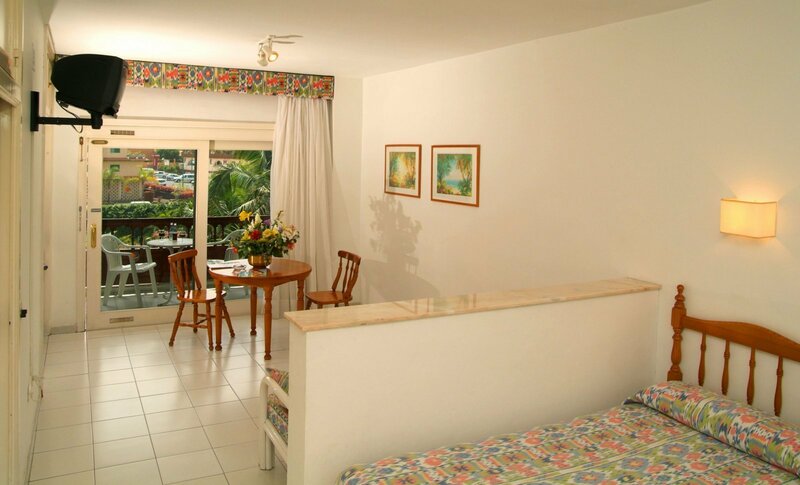 There is also a private bathroom with a hairdryer, and a furnished balcony offering views of the pool and gardens. Ironing facilities are available for hire at the reception. 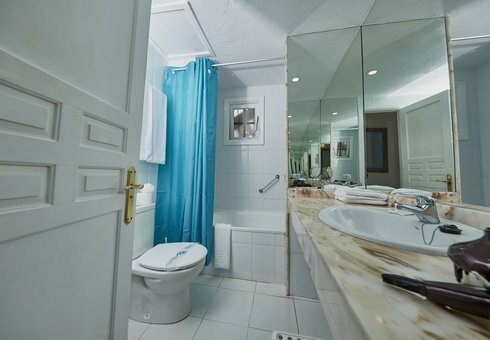 The Junior Suite is cleaned 5 days a week, while towels are changed 3 times a week and bed linen are changed 2 times a week.